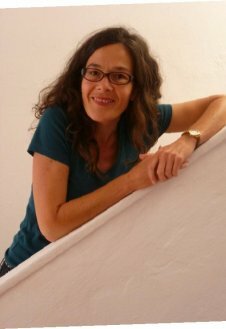 My name is Claudia Schnyder, I am a Swiss native German speaker. I come from Lucerne, where I grew up and lived until I reached my early twenties. After my university studies at the University of Lucerne and at the Guildhall School of Music and Arts in London I continued working and living in East London for two more years. This experience gave me a deep look insight of what it’s like to be a foreigner in a country. I‘ve always loved meeting with people from all over the world. Language is certainly the connecting element which makes an interaction between people possible. Besides studying at the Guildhall, and learning English in London, I had my first experience in teaching German as a foreign language. After London, I moved to Ireland for half a year. Later, back in Switzerland I become a mother and continued teaching German, English and music in state schools as well as in private academies in Switzerland. I regularly participate in didactic and methodical courses to continuously update and develop my knowledge as a language teacher. About three years ago my family and I moved to the Canary Islands partly to enable me to improve my Spanish. In Las Palmas de Gran Canaria I worked as a German language trainer in various academies and started teaching online via Skype. Still, every year I spend a few months on the Canary Islands where I continue giving online Skype classes. Please see my testimonials from present and recent students. I am a dedicated teacher. My goal is to improve your German speaking confidence. My experiences of learning English and Spanish as well as living in the UK, Ireland and Spain make me an expert to coach my students. 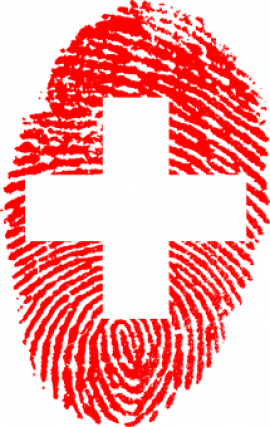 You will get an understanding and professional guide that can help you to start and organize your life in Switzerland. I really know how it feels to be new to another country. I know what effort it takes to learn a new language while trying to build up a new life, start a new job and deal with the “cultural shock”. Moreover, I can help you with your problems with the many Swiss dialects, which differ from Standard High German. Please get a free copy of "in 10 steps to successful lingual and cultural integration". Finally, I feel fortunate to support my students in their language process. All my students have different life stories. It feels good to help people achieving their goals. Teaching is in many ways very rewarding. I adapt each lesson to your priorities, needs and interests. My target for every lesson is to encourage you to speak German as much as possible. To me language is not just language, it opens the door to a whole new culture and is mind broadening. As Leo Tolstoi, the famous Russian writer said: “With every new language you learn you get a new soul”. Please feel free to get in touch with me and book a free first lesson.